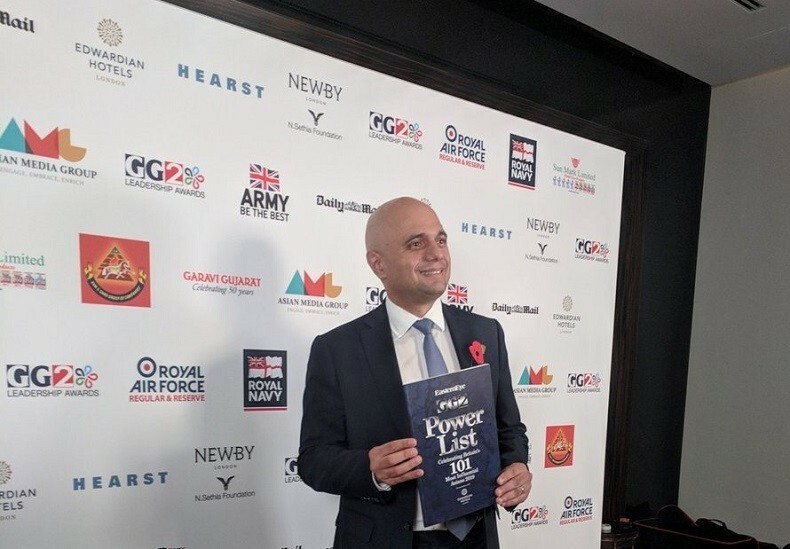 Britain,s home secretary, Sajid Javid, the first Asian to hold the prestigious post, won the top honour at the GG2 Leadership Awards in London. It was an evening of dual celebrations for Javid, who also topped the GG2 Power List – a compilation of the 101 most powerful Asians in the UK. This year’s GG2 Power List includes London mayor Sadiq Khan ranked second, followed by Neil Basu, court of appeals judge Rabinder Singh and the actor Riz Ahmed in fifth place.